Even when you have lived in Miami for a couple of decades you feel that you may become immune to the latest big scandal that inevitably involves bribery, corruption and most of all illegal drugs, but you never quite do. Some of it however, like the doping professional baseball players high drama is full of such idiotic and comical characters that the story that unwinds in Billy Corben’s latest documentary, comes over much more like a farce than a serious crime. Corbin is of course the Florida filmmaker behind such big exposes such as Cocaine Cowboys and Square Grouper which covered so much of the major (and some of the minor) drug dealing that established the State’s reputation in the past as being the US’s drug capital. This time however although he looks at the shady dealings of the dealers and pushers, Corbin’s emphasis is on the users, who are some of the biggest names in baseball and who have been illegally taking performance enhancing drugs to stay on top of the game. Actually no-one really comes off well in this story particularly Alex Rodriguez the world’s number one player who will stop at nothing to be able to retain his position and the enormous wealth that comes with it. Rodriguez is not an innocent bystander in this and gets very involved in ensuring the drugs are accessible, and then when his ‘Doctor’ is exposed by the authorities , adopts some very shady tactics in making sure that he will not be a casualty of the unwieldy mess that is now unfolding. He would use his father’s prescription pad to get drugs and when the business expanded rapidly, he ‘acquired’ prescription pads from retired doctors who were happy to accept a payment from Bosch in return. When even that wasn’t enough, he resorted to buy testosterone on the black market from some local thugs who were involved in organised crime. Part of Bosch’s own downfall was by the expense of both his own drug habit and the lavish lifestyle he had now adopted, and almost broke he had to resort to ‘borrowing’ money wherever he could. One of the people he hit up was Porter Fischer a self styled professional tanner (!) who was so desperate to become involved in Bosch’s business he handed over money he could ill afford. When it was obvious that Bosch could/would never pay him back he stole his confidential files which listed every single famous client and their illegal drug regime. It was the beginning of what would become a very messy end. The MLB (Major League Baseball) don’t come out of all of this looking too good either. 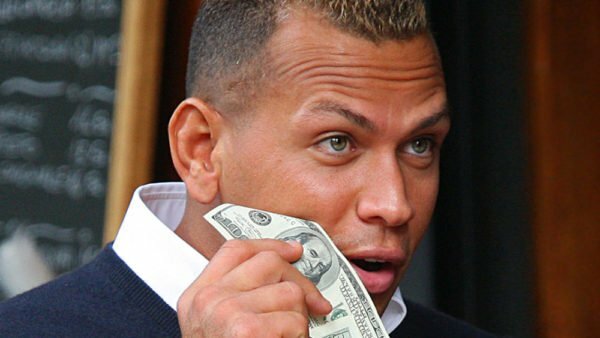 It was very obvious that as players got pumped up to the most ridiculous sizes that they had to be taking steroids , and in very large amounts They were all illegal, but baseball is a vast money making machine for the league and the very last thing they wanted to do was to disrupt the flow of cash into their coffers, so it was much easier to turn a blind eye until they couldn’t any longer. It all seemed like one big plot from some old Hollywood B Movie where the handsome rogues (like Rodriguez) literally get away with it, as long as there is one bad guy that gets locked up in jail. That of course was Bosch. To make it all seem even more unreal ………. and a great deal more enjoyable ……. was that Corbin used some extremely talented kid actors in bad wigs to play all the parts of the adult characters in the recreations of what went down. Now we knew why he called the movie Screwball. It was a comedy after all.